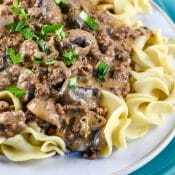 This easy 30-minute Ground Beef Stroganoff recipe omits the cream of mushroom soup and uses ground beef for an awesome comfort food dinner! Beef Stroganoff is a hugely popular beef dish that is generally made with strips or cubes of beef or steak with a sour cream sauce. Then as the canned soups came on the market, it was often made with canned of mushroom soup for convenience. How popular is Beef Stroganoff? According to Google, it was the most searched recipe of 2017. That is very impressive! It is no wonder. It tantalizes all the senses while it cooks. Listen to the sizzle of the ground beef as it cooks. 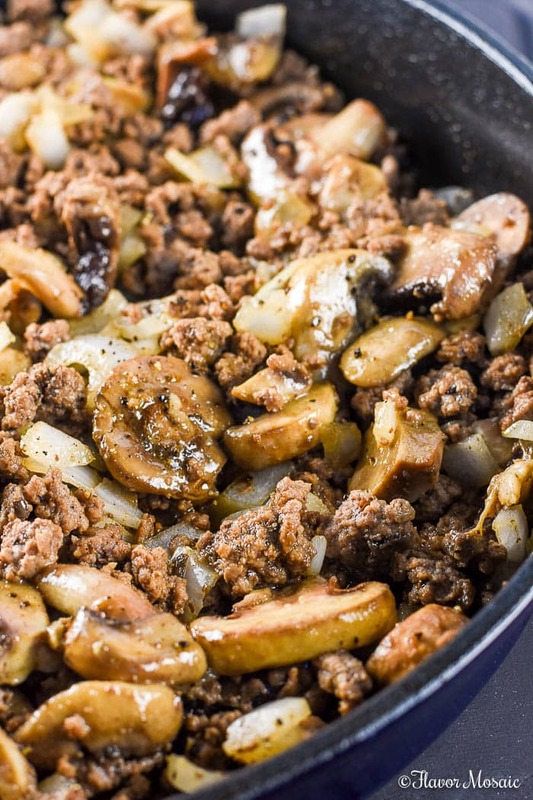 Smell the wonderful aroma of the sauteed onions and mushrooms as they cook with the ground beef. Taste the savory, beefy goodness of this creamy Beef Stroganoff. Beef Stroganoff is a Russian dish that originated in the mid-1800s in Russia and was typically made with sauteed pieces of beef with a sour cream sauce. However, it did not become popular in the U.S. until the 1950’s. Russian and Chinese immigrants brought variations of the dish to the US. It continues to be popular today and was the top searched recipe in 2017. What Kind of Beef is Typically Used in Beef Stroganoff? Typically sirloin steak or round steak is used in Beef Stroganoff. However, in this recipe, I decided to try a variation. Why Use Ground Beef in Beef Stroganoff? There are a few reasons to use ground beef instead of steak. It is readily available. I almost always have a package of ground beef on hand. How about you? It is more budget-friendly than steak. My wallet thanks you! It can be stretched to feed more people! That is always a plus if you have to feed a crowd. 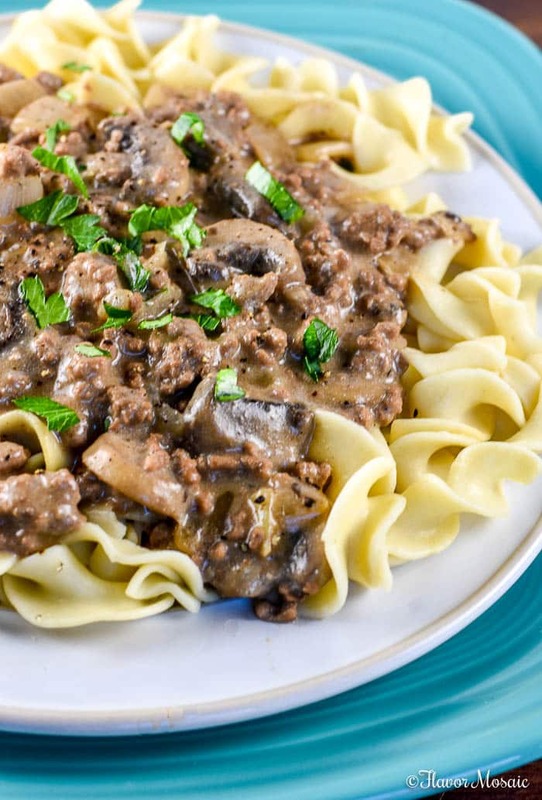 What Makes This The Best Ground Beef Stroganoff? Sauteeing the onions and mushrooms in the same skillet as the ground beef brings out the deep flavor of the onions and mushrooms. However, the creamy sauce also bursts with flavor from the sherry, Worcestershire sauce, dijon mustard, and beef broth! Make this Ground Beef Stroganoff any time you want some good, ole comfort food, or when it is cold outside, or when you have to feed a crowd, or anytime you feel like making it! And invite me over, please!! Add these ingredients to your next shopping list. While nothing is out of the ordinary if you don’t have or don’t want to use Sherry, just increase the amount of the beef broth instead. It will still be delicious. If you don’t like spicy heat, just leave out the crushed red pepper. 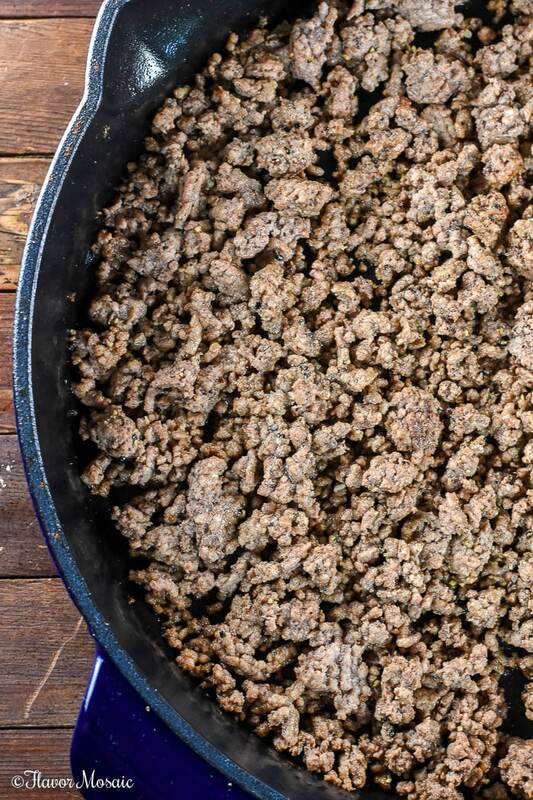 Brown the Ground Beef – Start out by browning the ground beef. Add onions, mushrooms, and minced garlic. Add the onions and mushrooms to the ground beef and cook about 5 minutes until onions are soft. Then add the garlic and stir for about a minute. Add salt, pepper, and, if you like, crushed red pepper and stir. 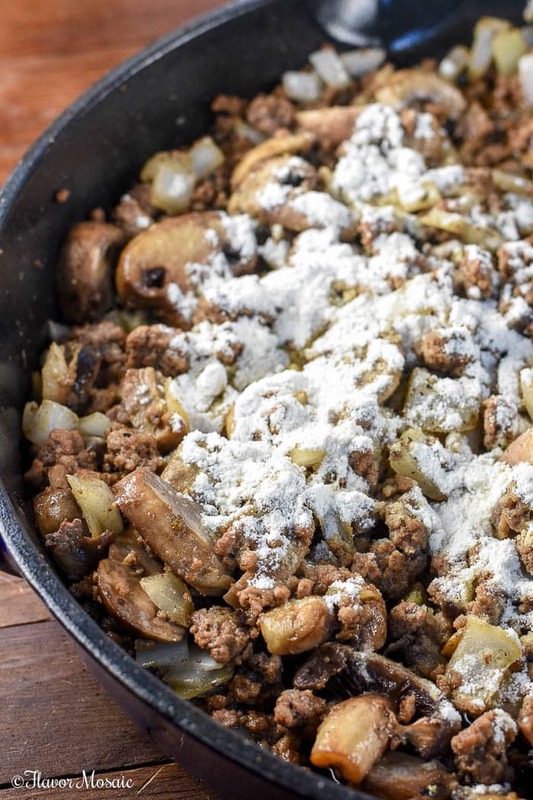 I usually drizzle Worcestershire over the ground beef, onions, garlic, and mushrooms. Pour in the sherry, beef broth and rest of the Worcestershire and let it simmer. Cook for 5 minutes or so to let it thicken. Add the Dijon Mustard. 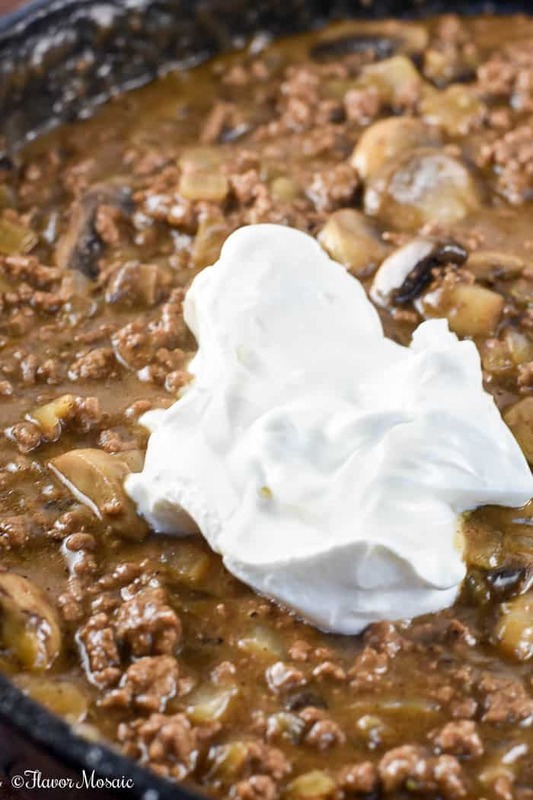 Stir so that the sour cream is evenly distributed and creates a lighter colored gravy that Beef Stroganoff is known for. OK. You have now made this wonderful meat sauce. What do you do with it? For video instructions, watch this video about how to make this Ground Beef Stroganoff recipe. Traditionally in the U.S., Beef Stroganoff is served over wide egg noodles, and that is how I recommend serving it. However, it would also be delicious served over mashed potatoes or rice. Pressure Cooker Beef Stroganoff. This Beef Stroganoff recipe from The Hungry Housewife is made in a Pressure Cooker! Paleo Beef Stroganoff. Ashley at My Heart Beets has created a Paleo version. Slow Cooker Beef Stroganoff. 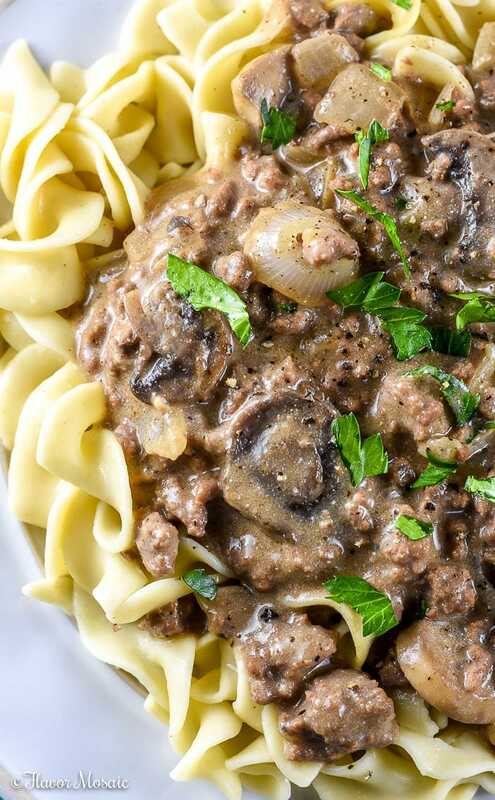 The Daring Gourmet takes advantage of the slow cooker to make her Beef Stroganoff. Beef Stroganoff with Cream Cheese. Those girls over at Crockin’ Girls have added cream cheese. Russian Beef Stroganoff. This one from The Spruce is made with filet mignon and adds tomato paste to the sauce. If you like this recipe, you may enjoy these other recipes that use ground beef. 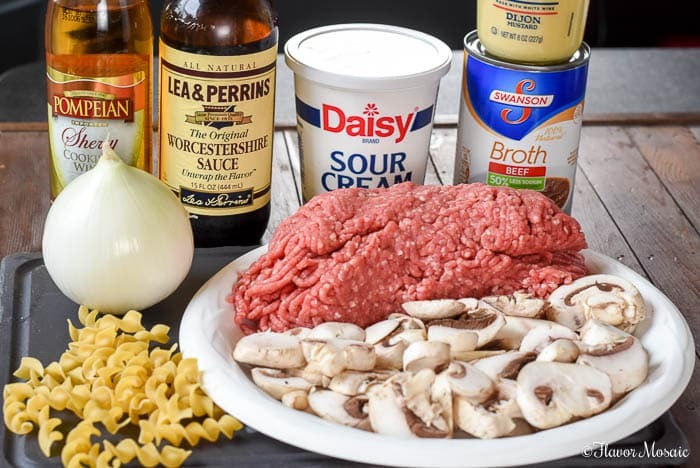 Salisbury Steak – A ground beef patty with onions, mushrooms, and a brown Salisbury Steak gravy. Serve with mashed potatoes and green beans or peas and you have a fantastic family dinner. Easy Lasagna Soup – Easy Lasagna Soup is an easy cheesy and comforting soup that tastes like lasagna in a bowl. Slow Cooker Italian Meatballs – These Slow Cooker Italian Meatballs melt in your mouth and are incredibly tender. Taco Lasagna – This is a traditional lasagna casserole with lasagna noodles but adds Mexican taco seasoning, enchilada sauce, and Mexican and Cheddar cheese that is sure to be a family favorite. Baked Ziti – This creamy, cheesy, beefy, pasta dish with ground beef, Italian sausage, cream cheese and mozzarella and parmesan cheese is one of our favorite comfort food dinners. 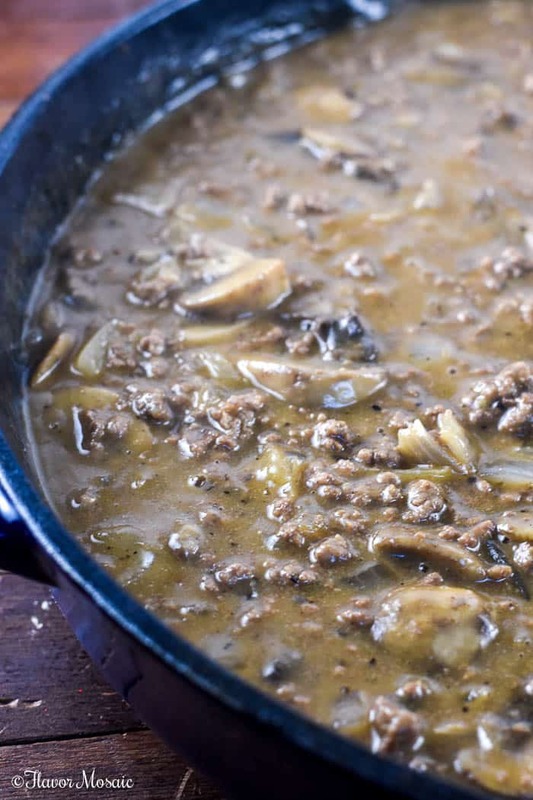 It is your turn to make this Ground Beef Stroganoff. For which occasion will you be making it? Leave a comment below and let me know. 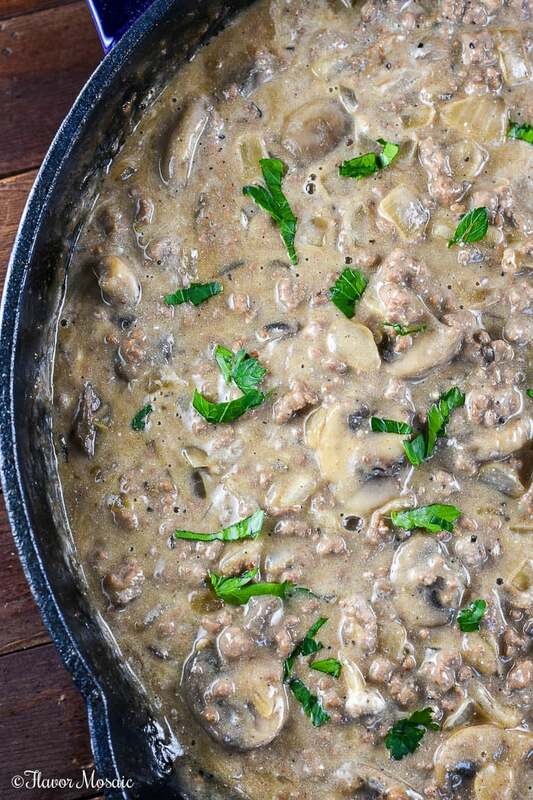 This easy 30-minute Ground Beef Stroganoff recipe omits the cream of mushroom soup and uses ground beef for the best beef stroganoff and an awesome comfort food dinner! Prepare the wide egg noodles per package instructions. In a large skillet over medium heat, cook the ground beef until it is no longer pink. Add the onions and mushrooms to the ground beef and cook about 5 minutes until onions are soft. 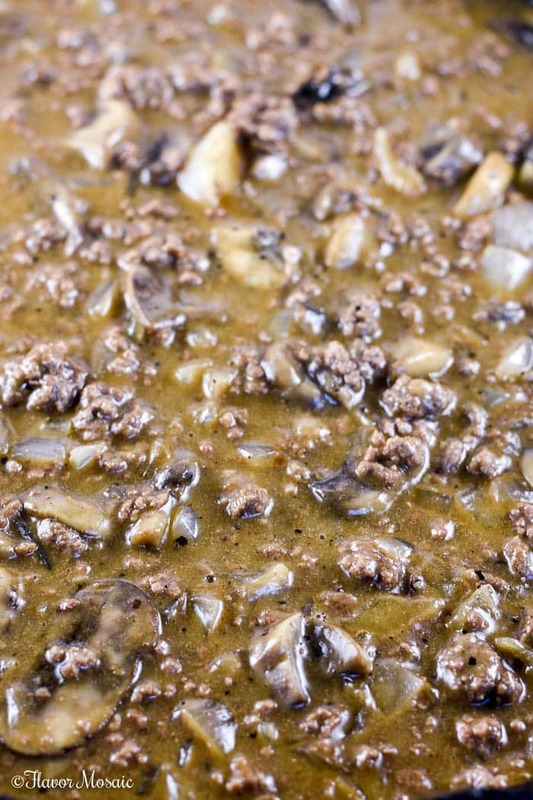 Drizzle a tablespoon of Worcestershire over the ground beef, onions, garlic, and mushrooms. Remove from heat and add the sour cream. Stir so that the sour cream is evenly distributed. Serve over cooked wide egg noodles. Enjoy! Be sure to pin it to your favorite recipe board. One of my favorite comfort food using ground beef! It is a favorite of ours too!